I've been using Daily Burn for a while now which I really like, but I found I wanted an additional intense cardio workout. I was looking at treadmills since that is what I have used in the past at gyms like 24 Hour Fitness but I quickly realized I really didn't have the space for one. 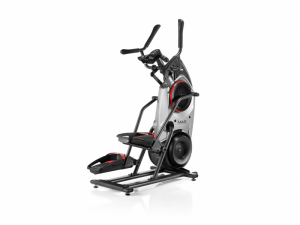 I looked at exercise bikes from NordicTrack and Nautilus because of their smaller size but I then saw the Max Trainers from Bowflex. I now do my Max Trainer workout in the morning before work and then my Daily Burn fitness class at night (well at least most nights). This machine works most muscles and is very intense. I initially felt drained after the 20 minute workout but I have been steadily improving after using it for over a month. It has a pretty quiet operation and the motion is very smooth and natural like. I also find it works out the arms and legs much better than an elliptical.